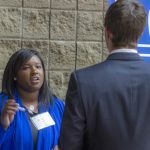 Net Impact will host its first meeting of the year at 6 p.m. Wednesday, Sept. 21, in Willard J. Walker Hall 403. 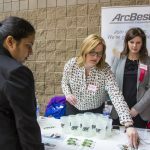 The organization will hold a panel discussion with young professionals, all University of Arkansas alumni, who have incorporated sustainability and social responsibility into their careers. 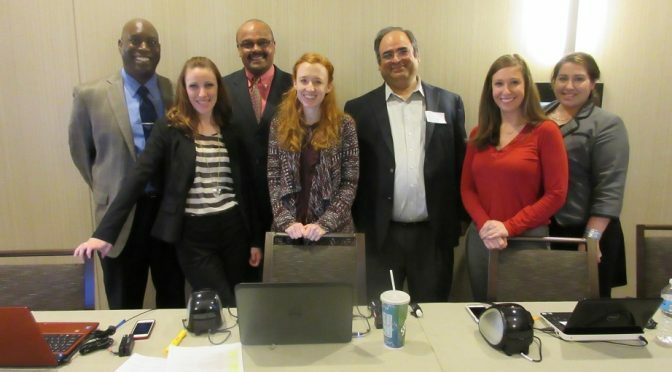 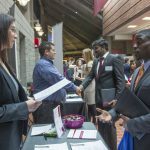 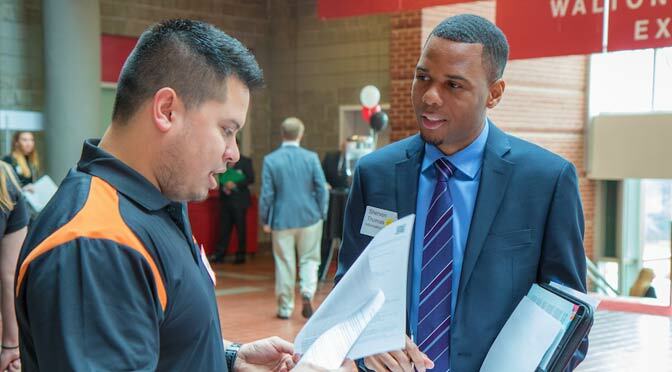 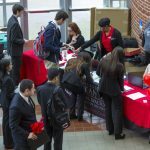 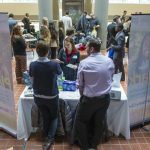 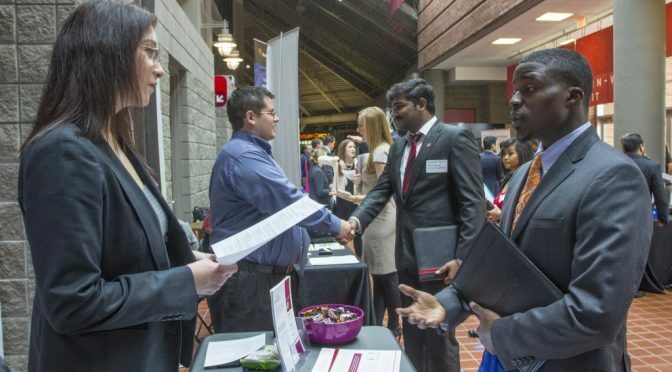 Walton conducted its Spring 2015 Business Career Fair on March 3. 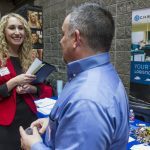 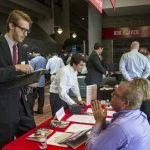 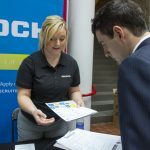 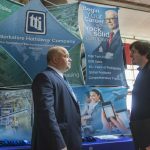 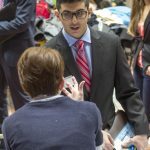 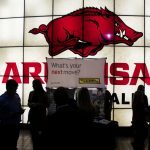 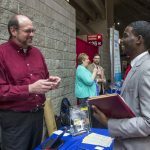 The spring fair was held in the concourse area of Bud Walton Arena for the first time with a variety of businesses and industries meeting with job-seeking University of Arkansas students. 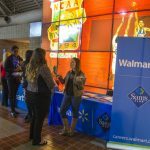 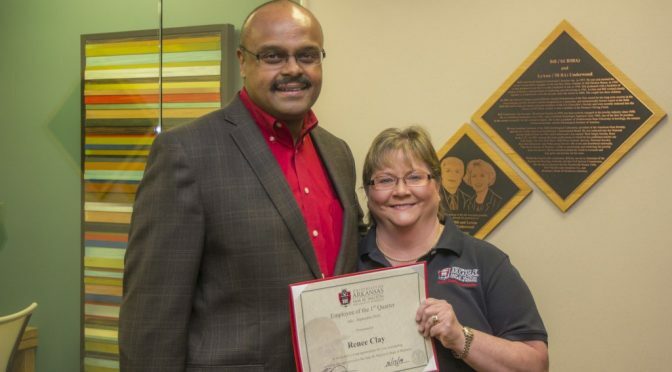 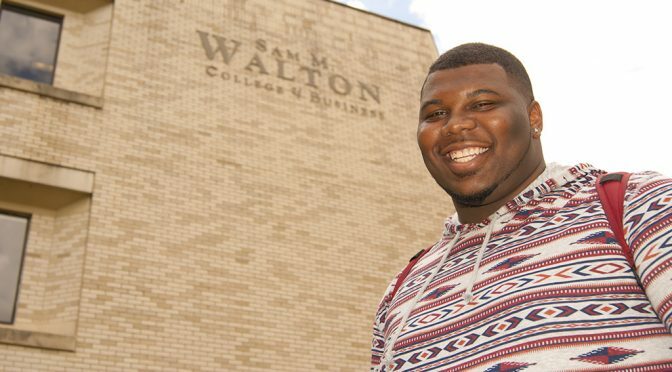 The Career Center in the Sam M. Walton College of Business is debuting a new initiative, Corporate Spotlight, which features one company for a five-day work week. 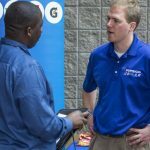 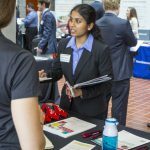 The company is able to network with students, hold interviews, and participate in information sessions during their week on campus. 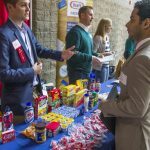 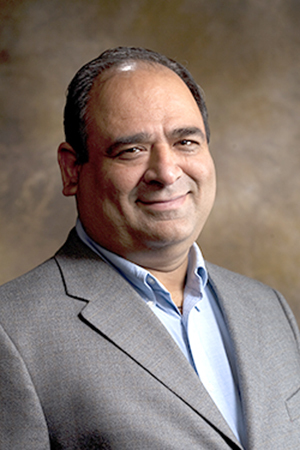 Each fall and spring semester, the George W. Edwards, Jr. Career Center and the Center for Retailing Excellence at Walton College host a professional development training event focused on social and dining etiquette. 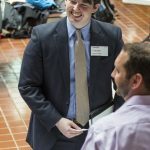 This fall’s event, held Oct. 29, featured a professional image consultant training students on the fine art of social etiquette in a networking setting and American dining style within a formal setting. 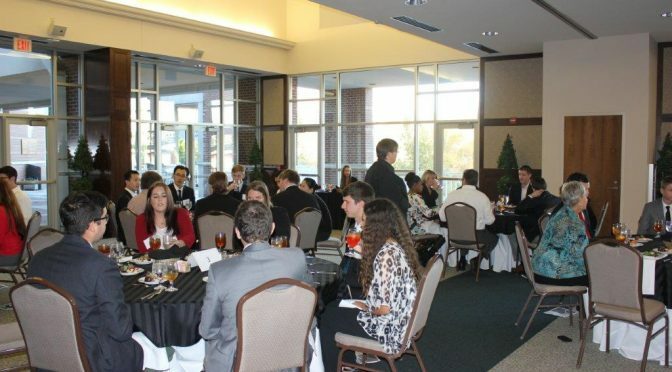 After the training, students enjoyed a three-course dinner and the company of local employers and fellow students.